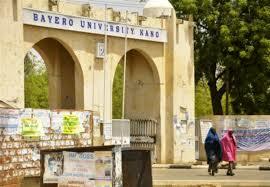 Bayero University Kano, BUK Professional and Advanced Diploma in Mass Communication Admission Form, Admission Requirements, Course Fee, Application Guidelines for 2018/2019 Academic Session. The Bayero University Kano, BUK Department of Mass Communication, Faculty of Communication & BAYERO CONSULT hereby invites application from suitably qualified candidates for Admission into Professional and Advanced Diploma in Mass Communication Programmes for 2018/2019 academic session. Tuition fee: Thirty Two Thousand Naira (N32, 000:00) only payable per participant. This fee covers tuition, and other logistics expenses. Administrative fee of Eight Thousand Naira (N8, 000:00) only will be paid at the Department per participant. Tuition fee: Thirty Five Thousand Naira (N35, 000) only payable per participant. (N10, 000) only will be paid at the Department per participant. a) A merit of PDMC certificate from BUK or any recognised institutions. APPLICATION FORM: Forms are available at Bayero University Consultancy Services, BUK old Campus, K/Kabuga/Gwarzo Road, Kano.